A living guide made to facilitate urban living for energetic and ever-progressing Bangkokians. 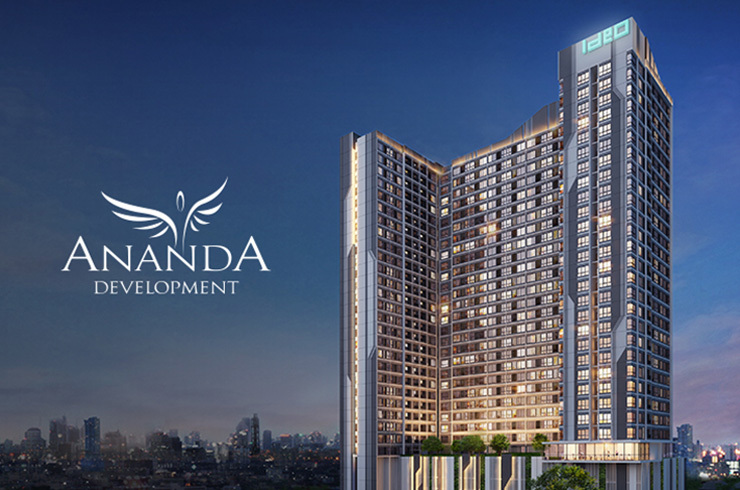 The Gen C Urban Living Solutions is a project under Ananda Development. The project aims to be the one and only information center about life in different districts of Bangkok. The information should be map-based, timelessly factual, and figure-focused. This is to facilitate people who are finding a perfect neighbourhood that suits with their lifestyles. We explored 8 residential areas in Bangkok along with current happening, lifestyle guide, interesting landmarks, explorable in the city of bright lights. The best perspectives of Bangkok behind the lens of our best professional photographers. Apart from our photography service, we also provide clients with thousands of beautiful images taken by professional photographers all around the world with iStock photo service. Let our design team choose for you which ones suit the message you want to portray best. Your work is in good hands. 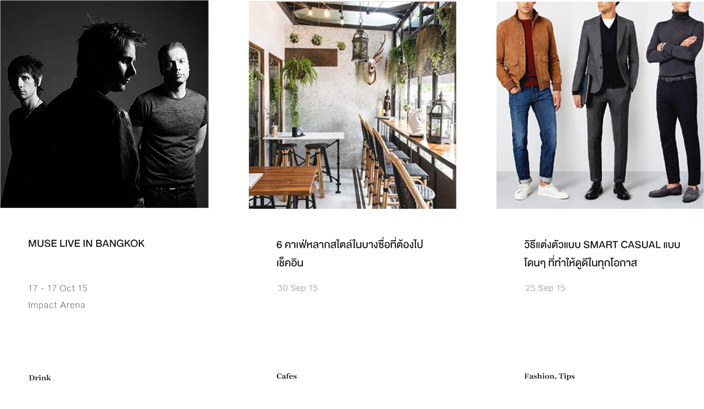 We constructed the website to be timeless and useful for every type of Bangkokians. The content on area guide sector should be timeless and factual, presenting solid information about each district. 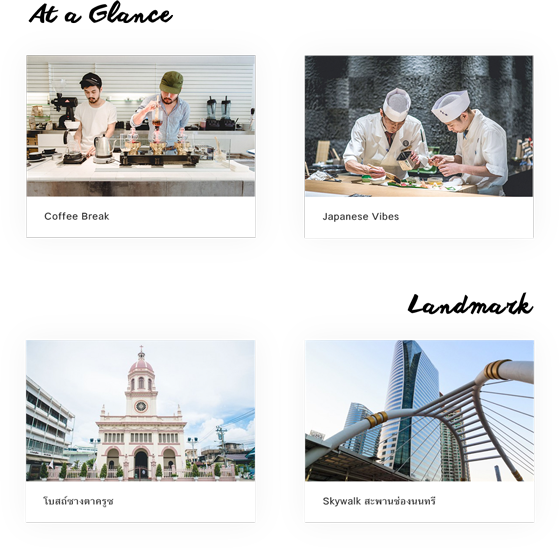 We sent our best people to explore Bangsue, Thonglor, Thonburi, Bangna, Rama 4, Rama 9, Siam, and Ari, and to drill out areas’ perks and highlights. Everything you need to know about each district is in one page. Aiming to communicate with all types of users, from potential residents of the area to the locals who have lived there for a long time, general outline and distinctions about each district are given. 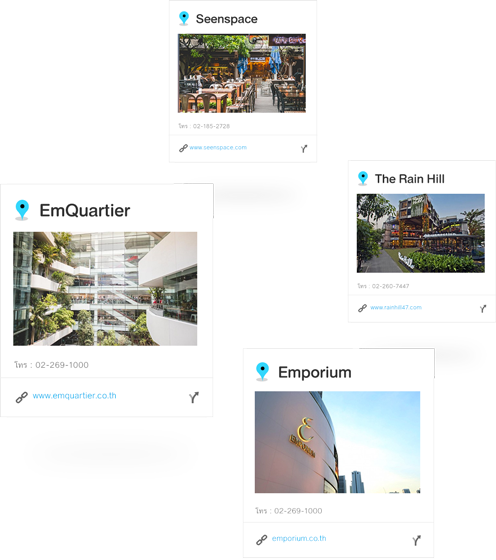 At a Glance gives the audience the gimmick and atmosphere of each district, while Landmark pinpoints specific places that are neighbourhood gems. Explore what’s around you with the menus Getting Around and Directory. Getting Around gives useful information about how to travel to and from a certain destination. Directory is a powerful list of important places in the area, under 5 categories, travel, culture, education, emergency, and civic center. Audience can basically see which schools are in the area, how many hospitals are available, and basically where to go on weekends. Happening and Lifestyle are updated real-time. All you need to know about exciting events, which are going to take place on each area, is provided in detail. Live in Rama 9 and is looking for a live music event? Just log on to the website and see if there are any concerts near you. Real estates is investment. And we know that. 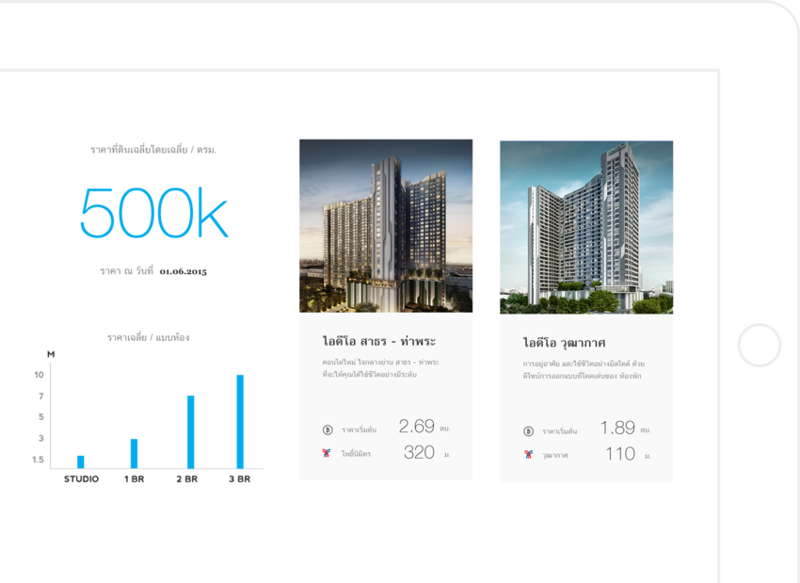 The Market Snapshot menu provides figures relevant to each area, which are average real estate price / square meter, and estimated population. 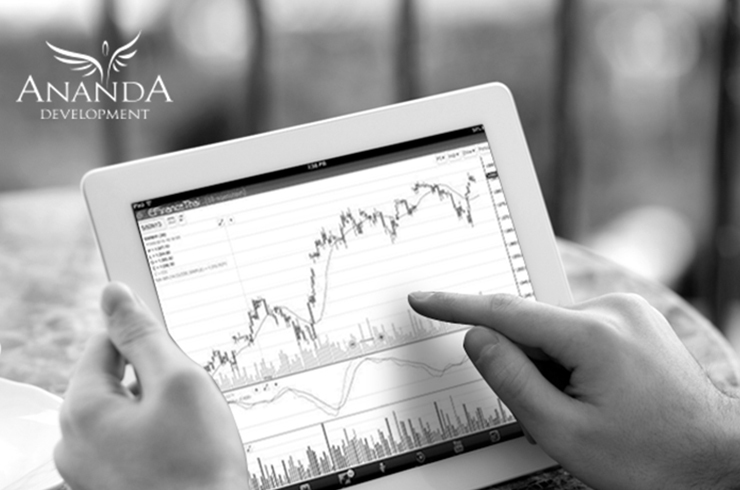 Consequently, Property Guide gives quick fact about Ananda’s property in the area. 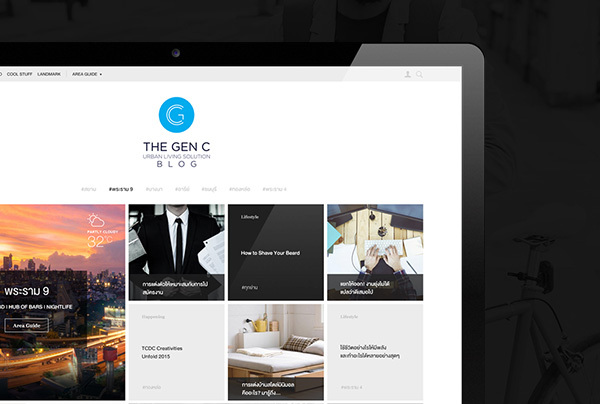 The Gen C only displays monochromatic black and white background with a hint of light blue. 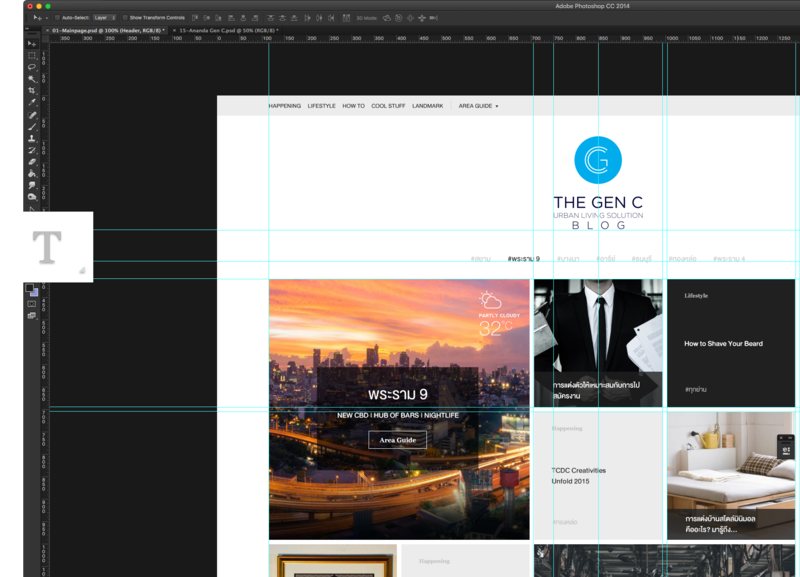 The cleaner and more modest the web design is, the more opportunity for each content to shine. We always take into account the ease of use on our clients' parts. 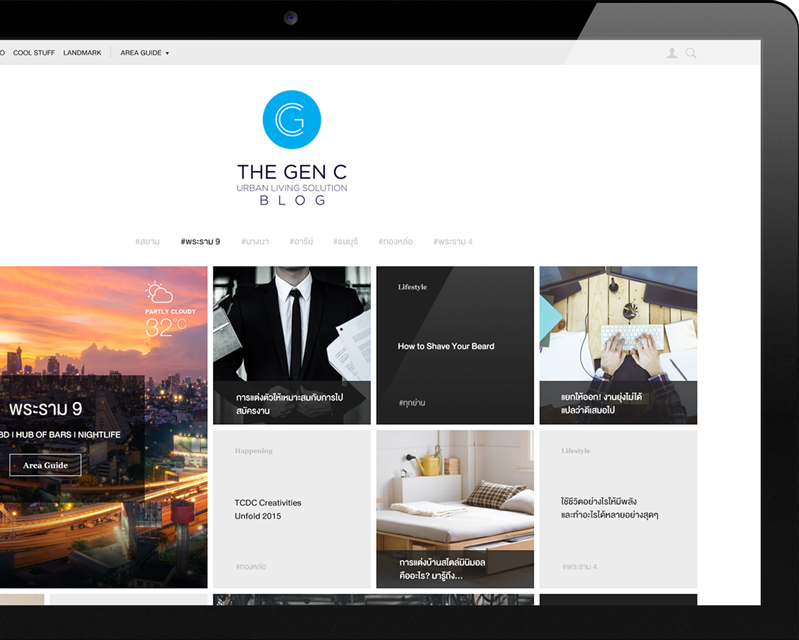 Therefore, we decided to use Wordpress, the most user-friendly content management system, as The Gen C's blogging system. This will allow clients to add, edit, and modify whatever they want on the website with some help on our parts. Users can easily scan through each tags and find current happenings near them. Difficulties in finding a place to hangout is now a thing of the past.